Amazon Distribution Center Traffic Impact Analysis - TADI - Traffic Analysis & Design, INC. Amazon Distribution Center Traffic Impact Analysis - TADI - Traffic Analysis & Design, INC.
TADI delivered on this fast-track traffic impact analysis (TIA) to estimate, distribute, and analyze the auto and truck traffic generated by this enormous facility. Amazon’s $250 million fulfillment center with a footprint containing more than 1.5 million square feet was expected to have some noticeable traffic impacts. TADI delivered on this fast-track traffic impact analysis (TIA) to estimate, distribute, and analyze the auto and truck traffic generated by this enormous facility. Our analysis paved the way for safe and efficient operations of the affected roadway network. TADI’s track record of successfully completing massive TIAs on short schedules enables developers to have confidence that the traffic portions of their developments will be done right, and on time. 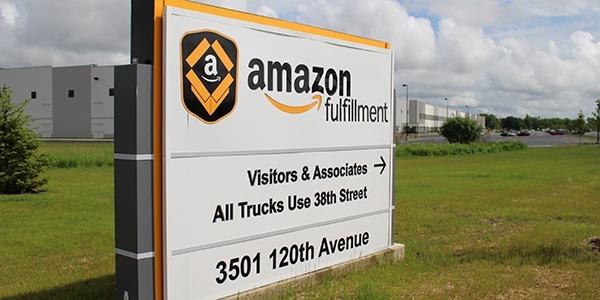 Amazon began operating the distribution facility less than one year after attaining final city approvals.